Our colleague and eXtension Virtual3d Developer, LuAnn Phillips, has a hit on her hands. The Winter Safety Game was launched last month and will remain available in Second Life until March 20. The game’s challenge is to prepare for a winter blizzard and then travel safely across the mountains to a birthday party. Along the way, players will encounter hazards to overcome, questions to answer and problems to solve. Response to the game has been outstanding. In the first four weeks, the game has been played by more than 8,000 visitors. 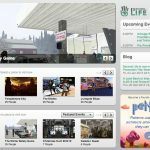 With a free Second Life account, you can access the game. Instructions and more information can be found on the extension.org website. As cold, snow, ice and wind blanket much of the nation, the EDEN Snow and Ice page has been updated with University and Federal Resources with reminders about safety outside, in the home and on the farm. Not a new “disaster” for most, but with so many folks visiting and traveling these resources are a good reminder of safe practices in the home and on the farm. Of course if not travel is advised, folks should heed the warnings but when traveling in winter weather folks should travel with a winter survival kit.